Our slide-out awning replacement fabrics fit any A&E (Dometic) and Carefree slide topper without a metal cover. You can choose from a variety of color and sizes. If your slideout awning is not one of the standard sizes, you should pick the replacement fabric that is closest (and larger than) your awning. 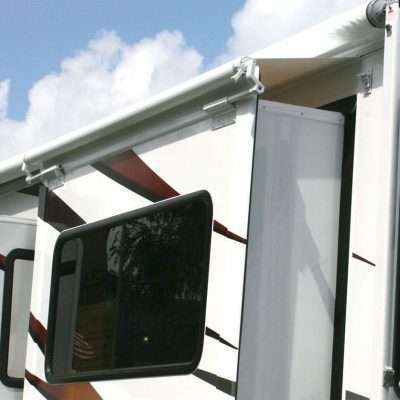 You can then easily cut RV Awnings Mart fabrics to fit any topper. You can find additional information on how to install our Slide-Out awning replacement fabrics by referring to our Frequently Asked Questions or view our Installation Guide.